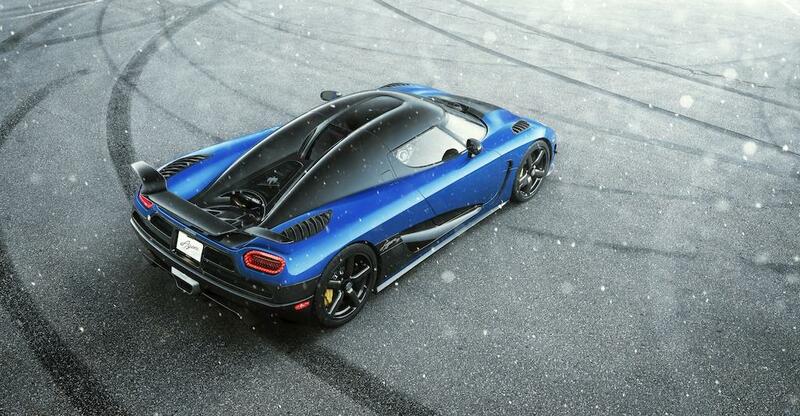 7099 - 2013 Agera S "HH"
This Agera S is the second U.S.-spec Agera to be built. It experienced a long gestation period but arrived in the U.S. in early 2014. It has been spotted in many places including California and Europe, however is registered on Illinois plates. Predominantly Monterey Blue with clear carbon accents, most notably on the center front bonnet section as well as the roof extending to the tail. Clear carbon coated dynamic rear wing. Hollow Aircore full carbon fiber wheels with blue lettering. Yellow disc brake calipers. Custom "Agera HH" lettering on the side model call-out panels. As delivered, this Agera uniquely carried CCX-style exterior rearview mirrors, due to U.S. homologation issues with the Agera mirrors. Predominantly black leather with blue accented seats, door panels and instrument panel binnacle. 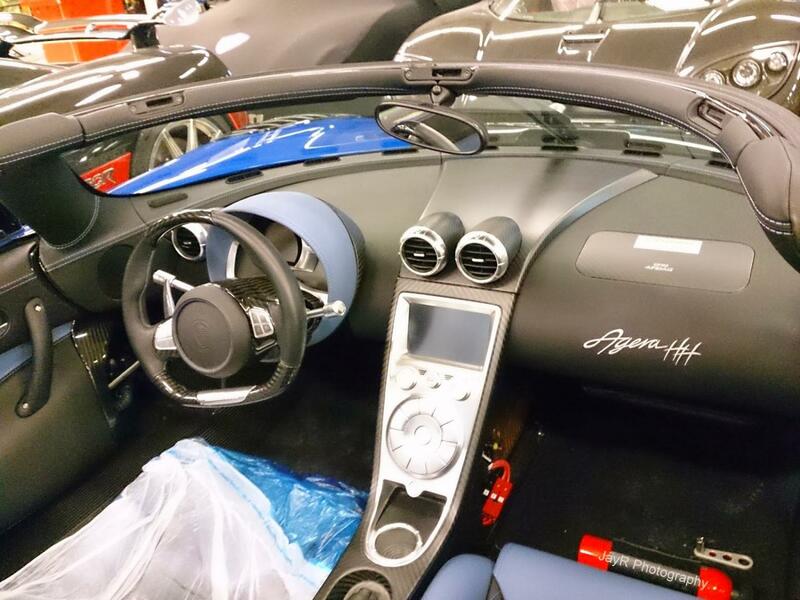 This blue leather is some shades lighter than the exterior color. Carbon center console with aluminum insert. "Agera HH" embroidered on dashboard. 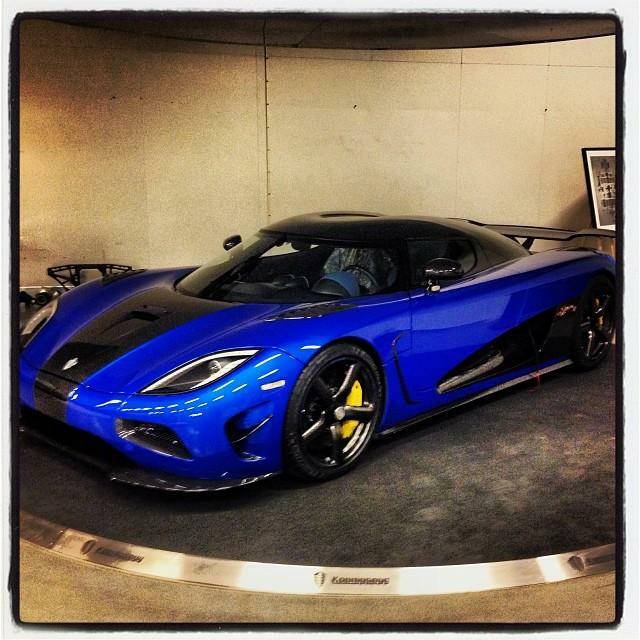 Standard Agera S 5.0 liter, DOHC twin-turbo engine producing 1030 horsepower. 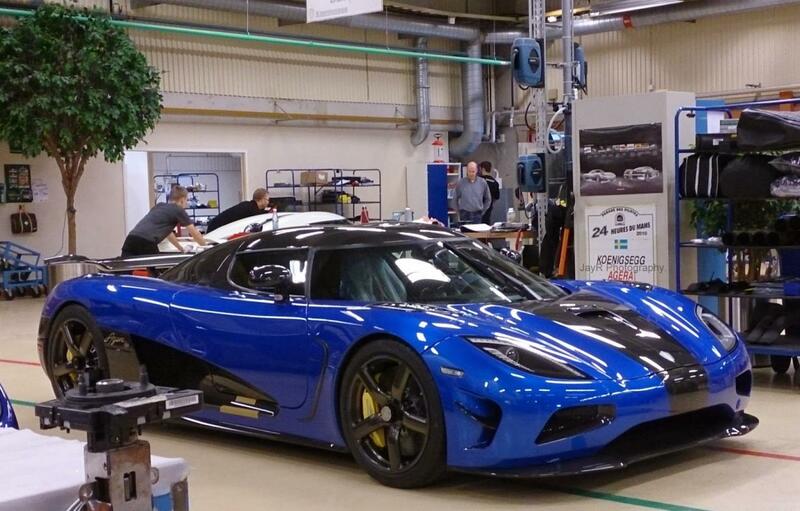 The Koenigsegg engine easily passes U.S. EPA emissions regulations. Black damper springs. No correct photos of the engine have yet surfaced. 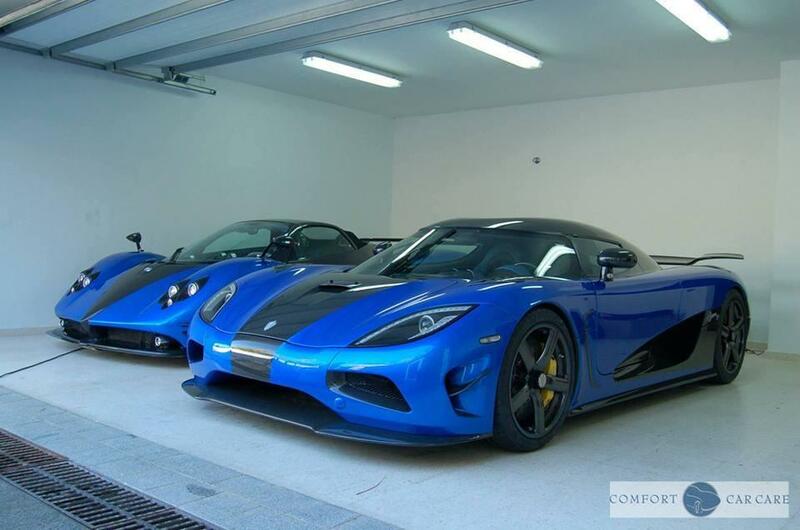 This car and #092 attained U.S.-legal status by way of Koenigsegg's advanced airbag exemption for the CCX series which was extended long enough to include these two cars. While #092 was built as a U.S.-spec car, it did not stay in the U.S. The advanced airbag exemption for Koenigsegg has expired, and at present the Agera series does not have a compliant airbag system. Until compliance is achieved, #099 will be the only Koenigsegg Agera in the U.S. 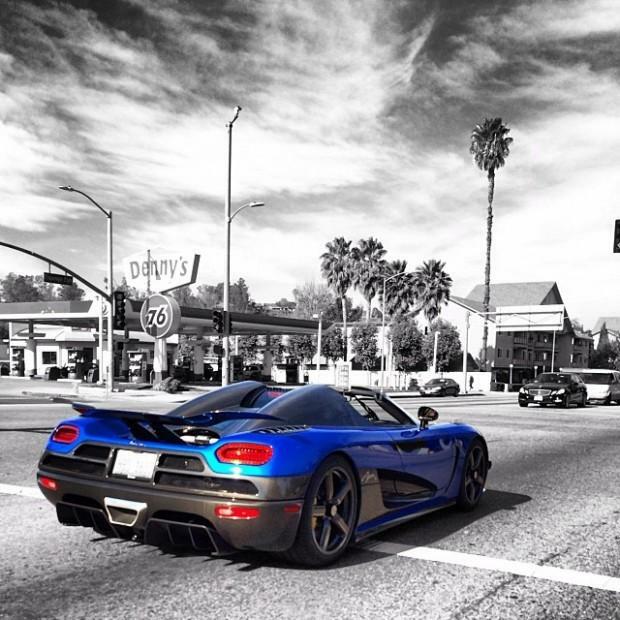 This Agera S was configured by the owner to visually match his Pagani Zonda, as shown below.